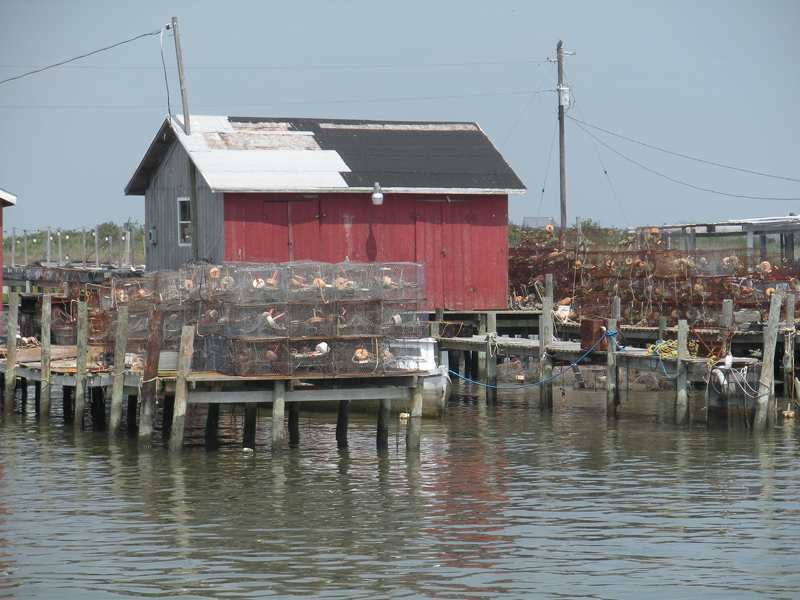 We spent the last 2 nights at Tangier Island in the Chesapeake. 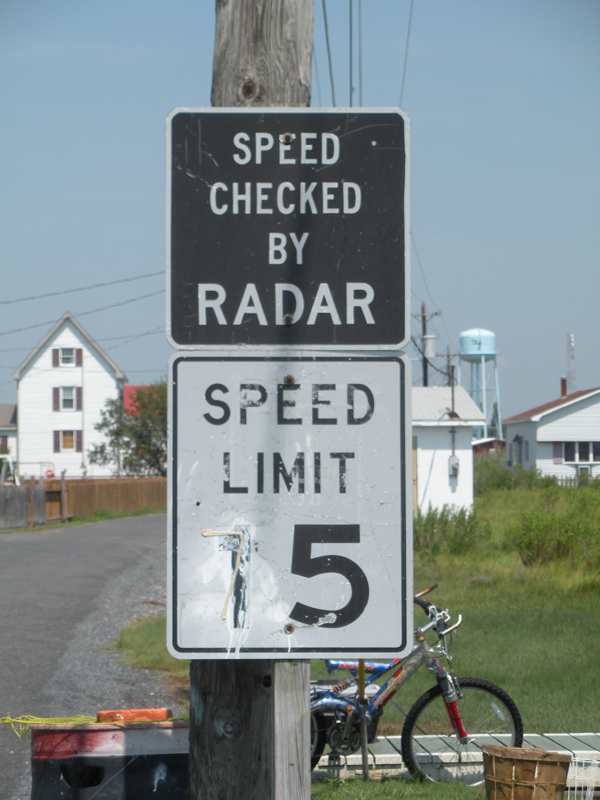 I just got done praising Verizon for its coverage, but it didn’t extend to Tangier Island neither does T-Mobile. When I asked about cell coverage I was told that if I didn’t have AT&T, the next best thing was smoke signals. 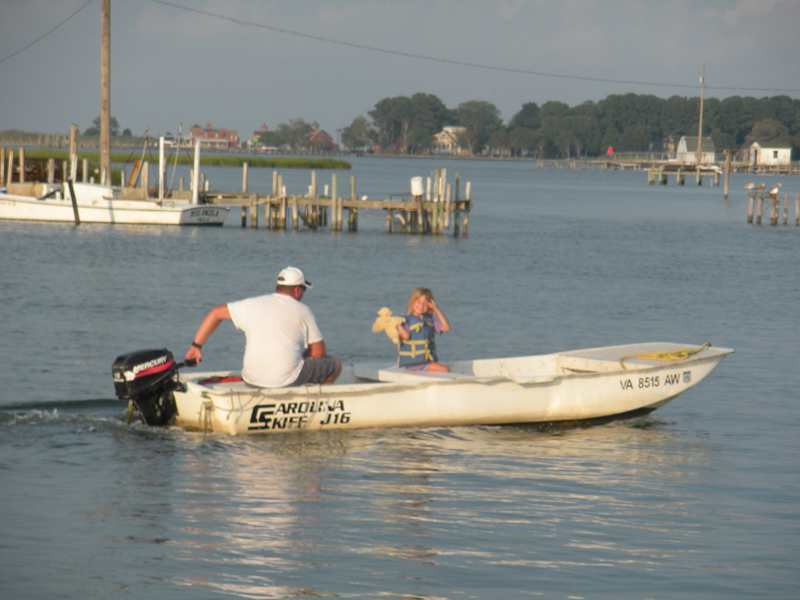 I find it hard to come up with a description of Tangier Island that truly conveys its uniqueness. 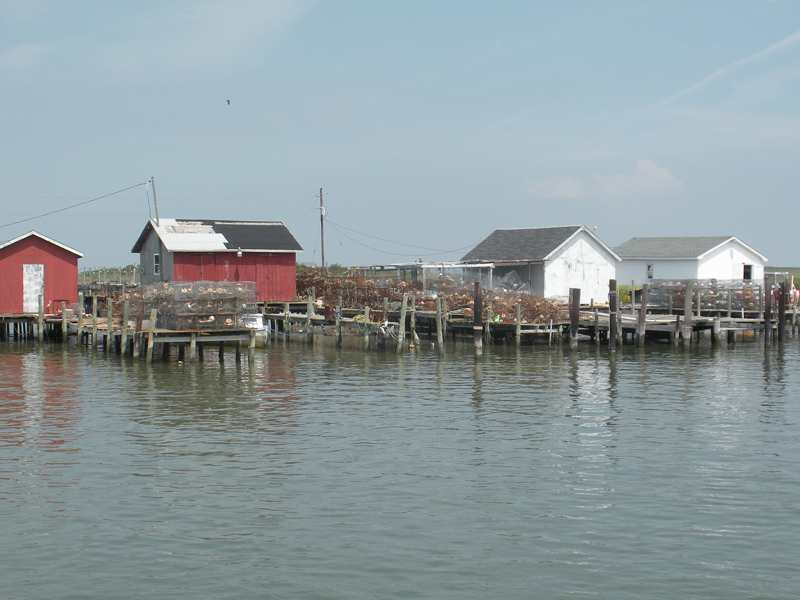 Here is an Island of 500 permanent residents in the Chesapeake bay that still has its own dialect – said to have come from the Cornish dialect of the original settlers. It’s the kind of place where you can send your kids out to play when they are 5 telling them they don’t need to come home until they are 18. Everyone knows each other and they take care of each other. I have found a link to a document that I think best describes the island. 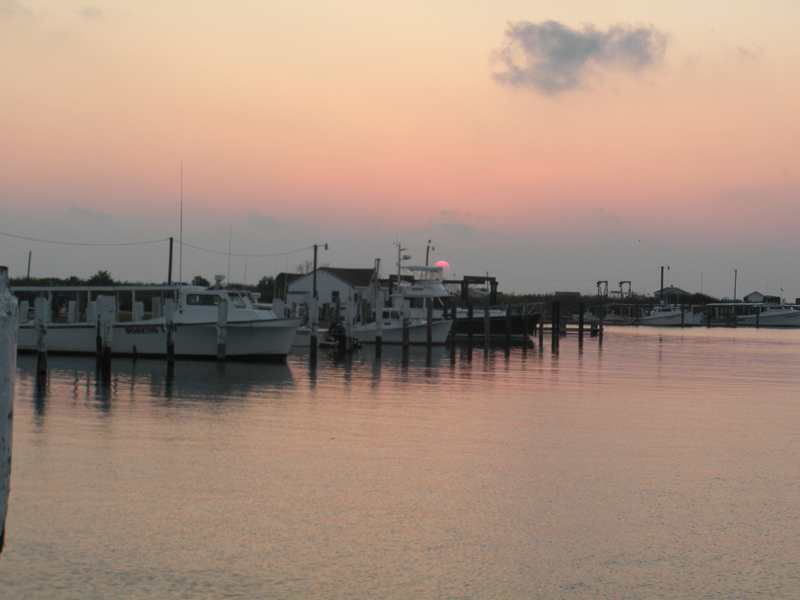 In the article there is reference to Mr. Milton Parks the owner of the marina. We met Mr. Parks and he insisted on giving us a tour of the island in his golf cart. It was a very interesting and fun tour and given the island’s size not a very long one, and I do think Mr. Parks was smitten with Roberta. Initially we were only going to spend one night, but it was such a pleasant area we decided to spend a second night. Main street. 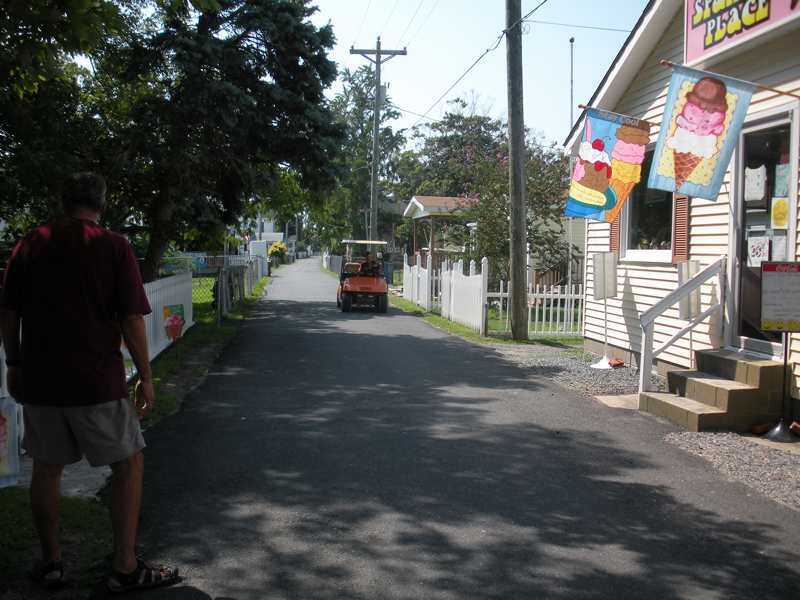 That’s Spanky’s ice cream shop on the right. Since golf carts were the man means of transportation I thought this sign was interesting. I never saw anyone who even resembled a policeman. 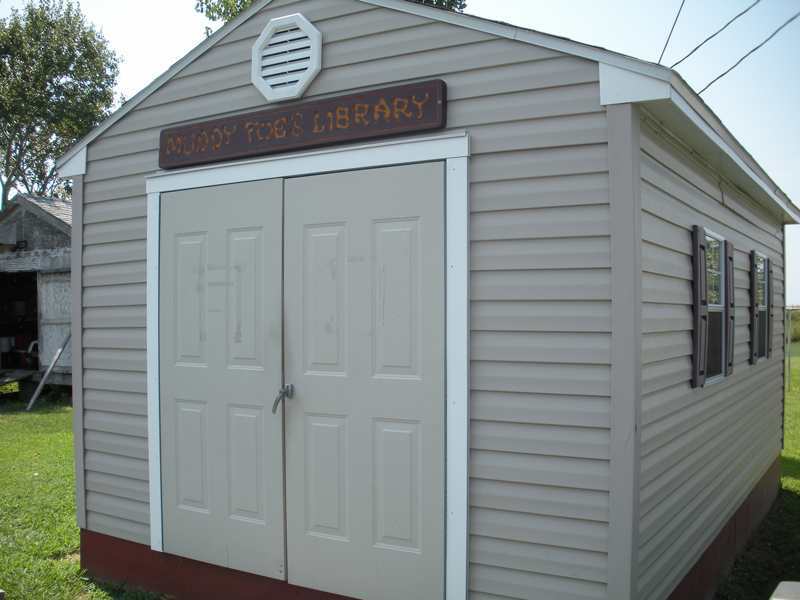 The island even has a library – appropriately sized for the town. It’s called the Muddy Toes Library. The story behind the Muddy Toes is someone on the island once said that once you get your toes muddy on Tangier Island you’ll never want to leave. The library was sponsored by a new resident who agreed with the sentiment. At the museum I read that you aren’t considered a local until you are a fourth generation resident. I also saw that the Crockett family, the original settlers of the island, have a family tree document with over 10,000 names on it. I guess that’s what happens when your family has been living in the same place since 1686. I didn’t get a picture of the grocery store, but it wasn’t much bigger than the average 7-11. Evidently the store is restocked on Thursday (our first day there) and it was almost a frenzy as people bought all the ‘fresh’ stuff. It reminded me of my Navy time at the base on Guantanamo Bay Cuba. Back then if you saw something on the shelf that you were remotely interested in you bought it because you may never see it on the shelves again. Most of the houses on the island looked small. 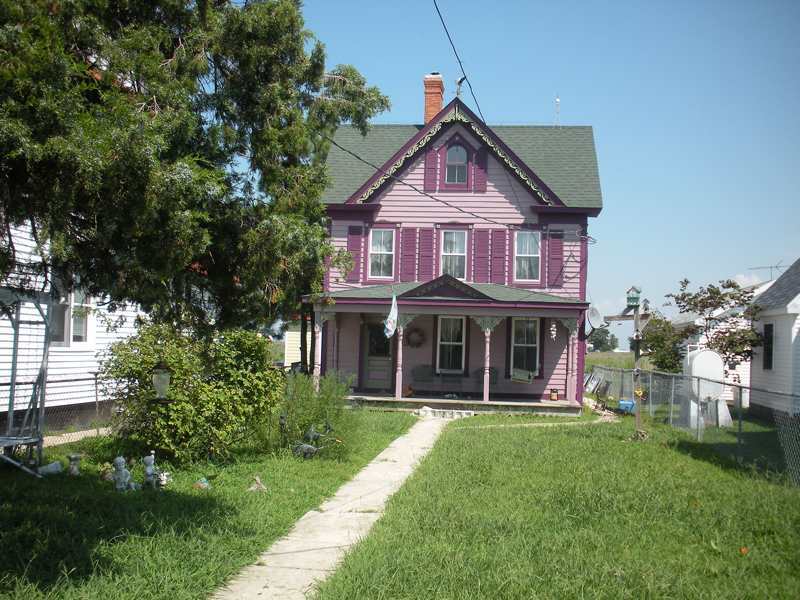 Here is one of the houses, notice how big the satellite disk on the right side of the house looks. One thing we did not get a picture of was the gravestones in the yards of many of the houses – it was apparently the thing to do.